Want to have bright eyes right now? You have to think of me. 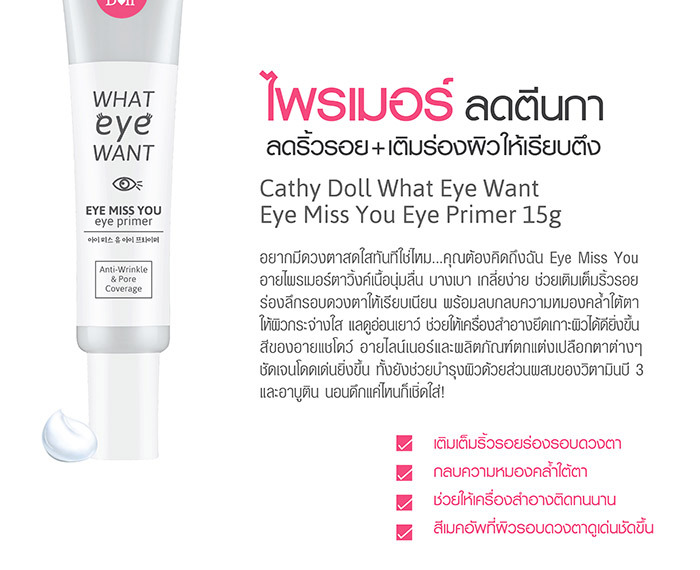 Eye Miss You eyeshadow primer. Smooth, smooth texture that smoothes out wrinkles around the eyes.With the dark circles under the eyes. The skin. Look younger. It helps to keep the skin better. Eye Color Eyeliner and Eyeliner Clearer It also helps to nourish the skin.With a mixture of vitamin B3 and Abu Night sleep how to wear it! To use: 1. Apply on the eyelid surface before applying eyeshadow eyeliner or eyeliner. 2. Spread the product with your finger gently. Around the eye area.